Visiting Charlotte means being immersed in warm Southern hospitality, Old World elegance, and centuries of history and culture. Located in the city’s heart, iconic 19th and early 20th century homes have been lovingly restored and converted to hotels to offer comfortable and luxurious romantic getaways, preserving the city’s spirit while providing facilities such as conference rooms, spas, pools, libraries, and gourmet restaurants. 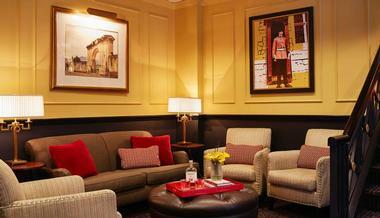 The Dunhill Hotel, one of Charlotte’s most elegant hotels, is located in the city’s thriving Uptown neighborhood. It is known for its typical Southern hospitality, elegant accommodation, and modern amenities and is an oasis of tranquility amidst the bustling city. The Dunhill was originally opened in 1929 as the Mayfair Manor apartment hotel. The meticulous renovation has retained the building’s charm conceived by famous architect Louis Ashbury and has brought it into the 21st century by providing the amenities modern guests expect from world-class hotels. The Dunhill has 60 beautifully appointed rooms with a distinct 1920s ambiance, marble bathrooms, luxurious linens, writing desks, and elegant décor combined with modern amenities such as flat-screen televisions, Keurig coffee makers, iPod docking stations, and wireless internet access. The hotel restaurant The Asbury is considered one of Charlotte’s best restaurants. 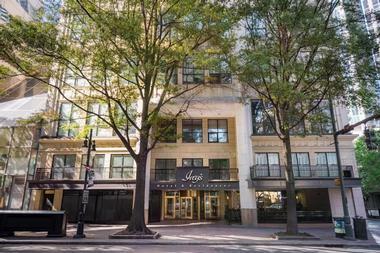 Designed in the early 1920s by renowned architect William H. Peeps as the J.B. Ivey & Company Department Store, The Ivey’s Hotel is an elegant oasis in Charlotte’s Uptown central entertainment and business district. This 42-room boutique hotel combines the city’s historical vibe with modern facilities. Located across from the Blumenthal Performing Arts Center and a short walk from the Levine Museum of the New South, the Ivey’s features mid-century and art deco furnishings, suites with living rooms, balconies, and modern amenities such as free Wi-Fi, mini-bars, flat-screen TVs, and Nespresso machines. Some rooms open to an atrium. Suites also have living rooms, wet bars, and balconies. The club lounge serves free evening drinks. One of Charlotte's most iconic buildings and a wonderful example of colonial revival architecture, The Duke Mansion was built in 1915 as a home of Zeb Taylor. Several owners later, James Buchanan Duke bought this elegant Southern home for his daughter and tripled it in size. It became one of his many legacies, together with Duke University and the Duke Endowment. Listed on the National Register of Historic Places, the mansion was opened in 1998 as a meeting center and historic inn, operating as a nonprofit organization. All proceeds are used to maintain and protect the mansion as a community treasure. It now offers 20 uniquely decorated opulent guest rooms with all modern amenities, a business center, a library, and a lovingly tended 4.5-acre garden. 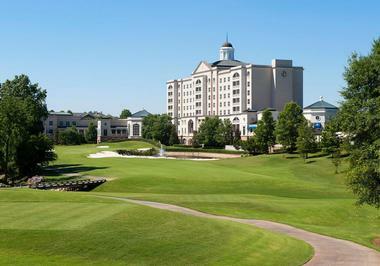 Located less than 9 miles from Carowinds and South Park and less than 18 miles from Uptown Charlotte, The Ballantyne Hotel and Lodge is one of Charlotte’s Luxury Collection Hotels. The Ballantyne offers its guests gracious Southern service, elegant and beautifully decorated accommodations, and a range of modern amenities. The hotel has a number of diverse luxury rooms, a private cottage, and the lodge. All rooms have 10-foot ceilings, picture windows, plush bedding, an executive desk, a dresser, Bose Wave Radio, complimentary wireless internet, a television, and a marble bathroom with shower and oval tubs. Facilities include the spa, indoor and outdoor pool, sauna, whirlpool, golf, tennis, gym, gourmet restaurant, free afternoon tea, and 24-hour room service. The hotel offers indoor and outdoor meeting facilities. Guests can use a complimentary shuttle within 1 mile of the hotel. 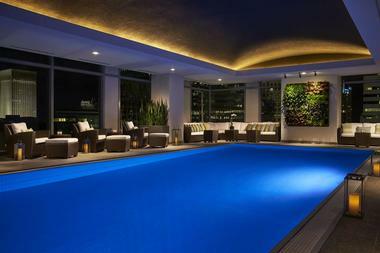 A part of Charlotte’s busy, modern Uptown, The Ritz-Carlton is an LEED Gold-certified sophisticated and sleek luxury hotel. Surrounded by Charlotte’s art and culture offerings, The Ritz combines sophistication, warm Southern hospitality, and all modern amenities. It features innovative restaurants, spectacular views, a penthouse spa, and a rooftop garden. The hotel has over 12,000 square feet of event space, the Ritz-Carlton Spa on the penthouse level, the Bar Cocoa dessert boutique, and much more. All luxury rooms have elegant décor, 10-foot ceilings, floor-to-ceiling windows, flat-screen TVs, Enseo entertainment systems, 24-hour in-room dining, Nespresso coffee, work desks, iPod® docking stations, and BOSE Wave systems. 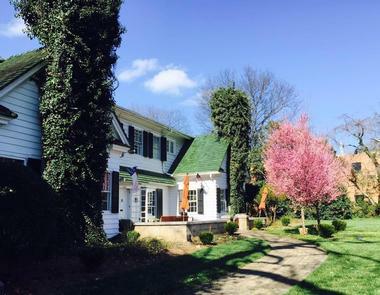 The historic Morehead Inn is located in Dillworth, one of Charlotte’s most scenic neighborhoods, minutes from uptown Charlotte. This elegant structure was built in 1917 for local businessman C. C. Coddington and his family and was originally called the Coddington House. 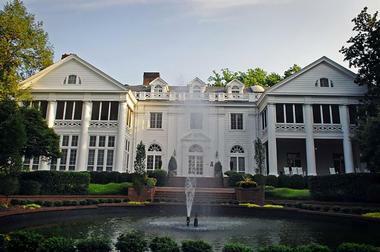 This luxury private residence was converted in 1984 into the Morehead Inn. Spacious and elegant, it has been furnished with fine antiques, warm fireplaces, opulent private rooms, and a beautiful private four-bedroom carriage house. The guests enjoy complimentary wireless internet and breakfast. The inn’s indoor and outdoor spaces are so elegant and beautiful that they often serve as a venue for local celebrations and gatherings.